Toss the onions, fennel and zucchini with a bit of coconut oil into a bit pot and place it over medium heat. Cook until soft, then add the spinach, oregano, salt and pepper and stir for another few minutes. Add the stock and bring to boil. When boiling turn the heat back down and let it simmer for 30 minutes. Blend the soup with a hand blender or pour it in to your food processor and blend until you get a smooth texture. 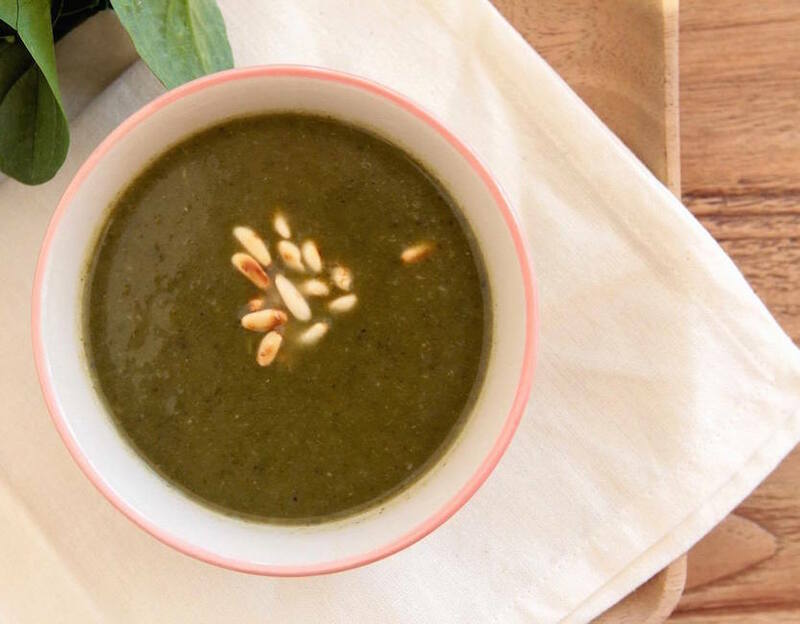 Serve the soup with toasted pine nuts.